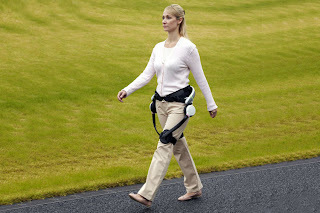 Honda announced that a clinical research study of its Walking Assist Device has begun at the Rehabilitation Institute of Chicago (RIC). or Stride Management Assist (SMA) to improve the mobility of patients who have experienced a stroke. This will serve as the first large scale clinical research study on the Honda Walking Assist Device to take place in the US.